So you wanna be an NFL Commissioner? With the apparent cover up over the NFL receiving the Ray Rice video, many, many people are calling for the firing or resignation of commissioner Roger Goodell. So who could step into his shoes? The NFL is one of the largest moneymakers on the planet and only has a minimum of 16 weeks a year of actual work. 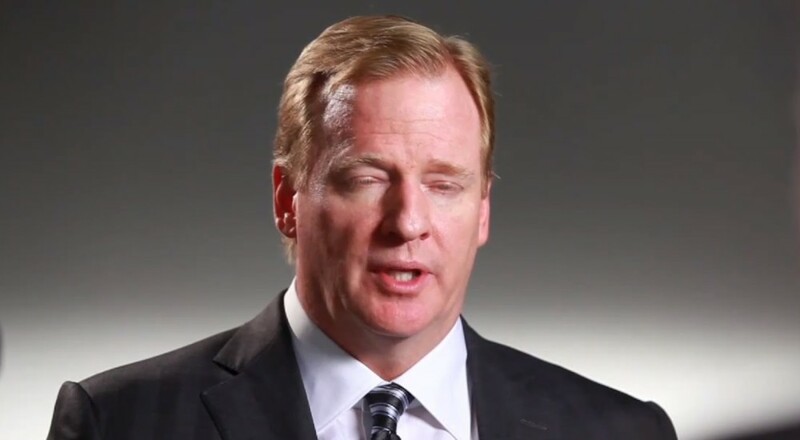 Although given the Goodell administration, it would probably help if you want to be transparent and lenient. Adam Silver seems to have created big shoes for any new commissioner to fill, and trying to replace a commish that was filled with controversy is no easy task. Here are a few suggestions of folks we think could handle the position with… um… grace? Why not go full Putin? Leave the long standing tenure of commissioner of Major League Baseball, who’s popularity declined under his administration, and then go down the street to the NFL? Fans will tune in with ferocity to see what kind of bungling mistakes old Bud would pull out. Forget a tie All Star game, he might make all games turn into a draw. If the commissioner is going to be a villain who better than Stern? He was the NBA heel for so long and his draft day podium acting was worth the price of admission alone. You know he wants this so badly. He can give diminutive nicknames to all the owners and hangout in skyboxes and willfully execute power. He could be the first sports commissioner to hand paint new logos for every team. Sure he’d have to give up ownership of his beloved Washington Football Club, but imagine how hard he would hold onto the past rules and traditions of the game? From his cold, dead hands would things like proactive concussion care exist. He would sell off teams like the Cleveland Browns for coaxial cable and a week at a timeshare in Hyannis Port. And then double NFL media coverage with all of the rotten things he says for attention. He doesn’t seem like much of a sports fan, but his innovations in social media mean entire rules will get facelifts two to three times a season, which would lead to utter chaos. And fans complaining every 90 days that the NFL was SO much better before. Man, how awesome would that be? Joe would be cracking beers and mouthing off with absolutely no leash on him. Biden Unleashed would settle all labor disputes in his backyard in Delaware over a BBQ in a pair of cargo shorts. His reign over New York really has to come to an end at some point. But he could handle all the flow of media with his empire AND create limits on food sizes at stadiums. Since being a commissioner couldn’t have been handed to him by the goodwill of his father, it would be interesting to see how badly Mittens would run the league. Charming, snarky, and British and prone to disappear for long stretches. If we’re lucky we’ll get the foul mouthed Peter Capaldi, if not we’ll get the emo bowtie of Matt Smith. The Netflix CEO could change the way we watch the NFL. Bringing an entire season in a weekend, while endlessly scrolling through budget seasons of the NFL that you heard about from a friend, but just weren’t that interested in watching before. The Apple CEO is well-versed in stepping in after an iconoclast and his low-key demeanor could change the conversation about the man behind the curtain. It does appear he may follow the Apple model by offering small additions to well known products while eliminating loved devices. He also may force everyone to listen to U2 during the Super Bowl.